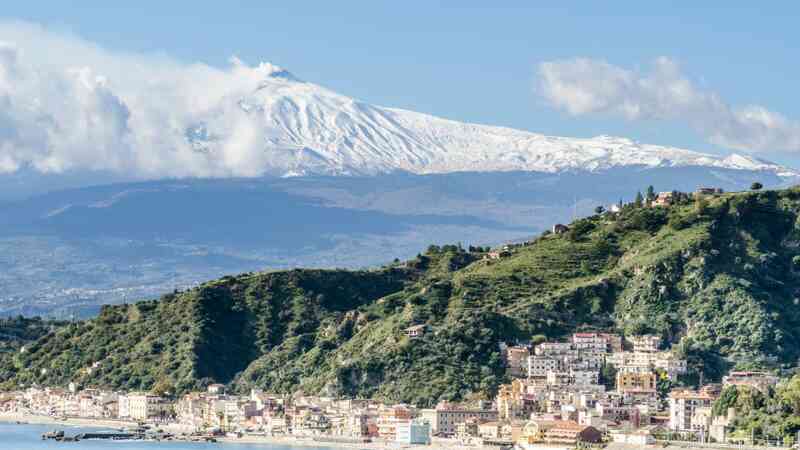 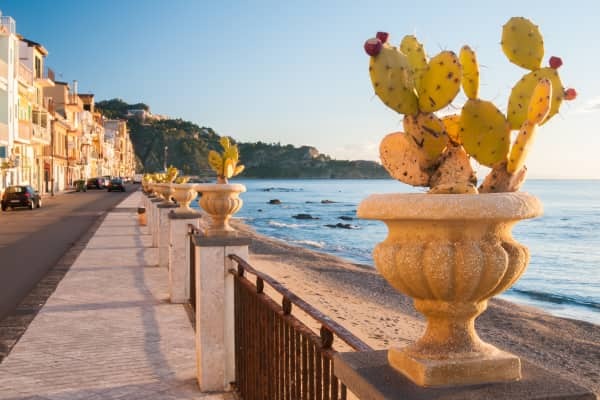 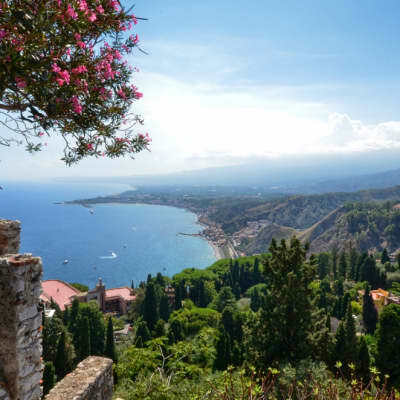 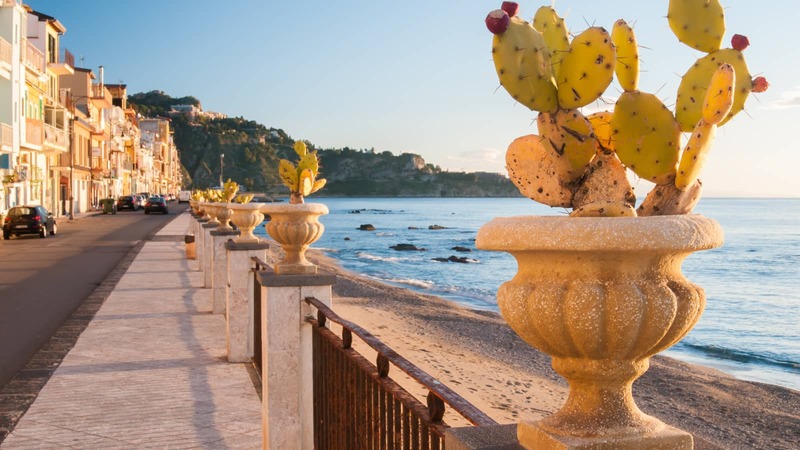 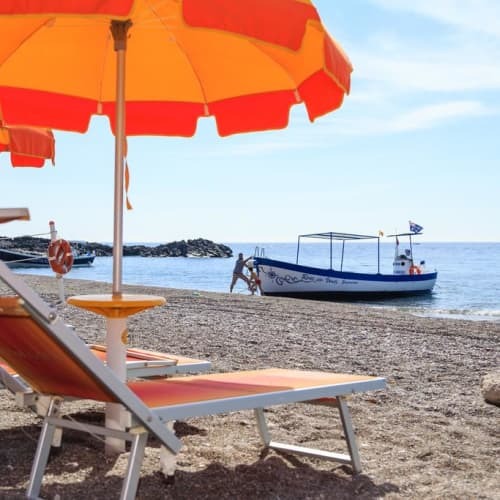 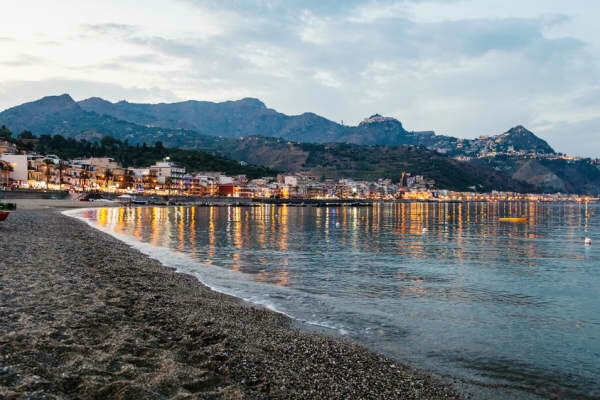 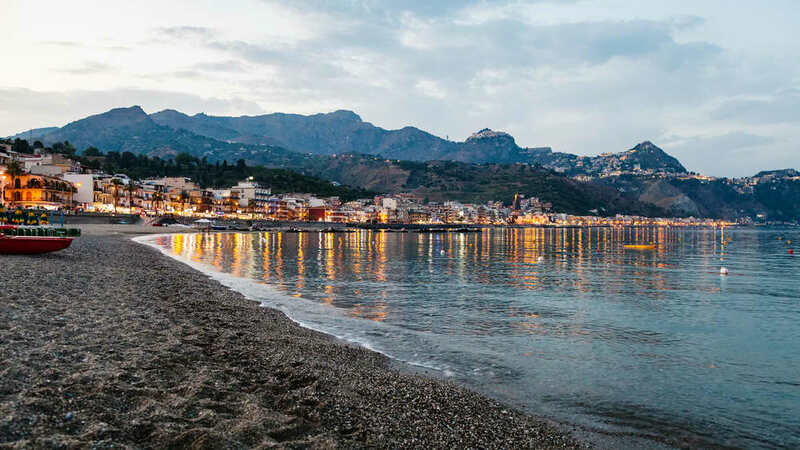 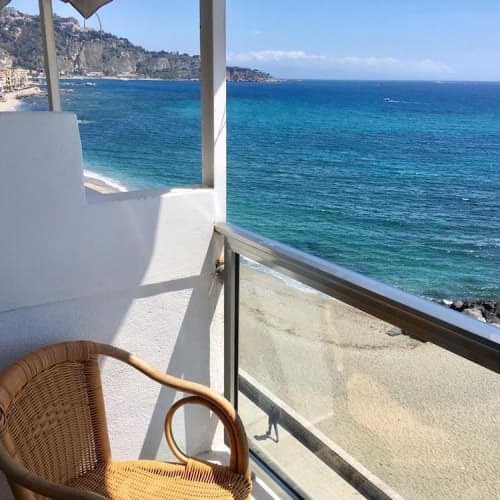 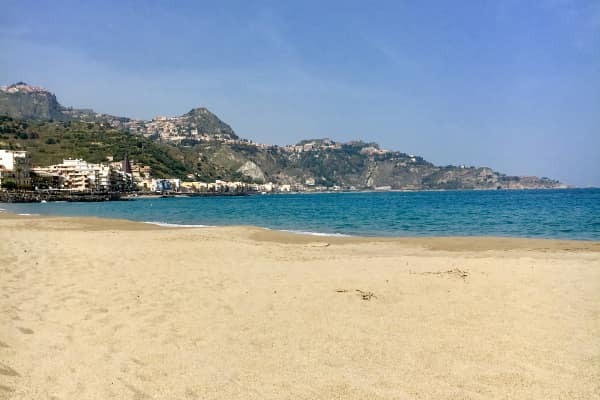 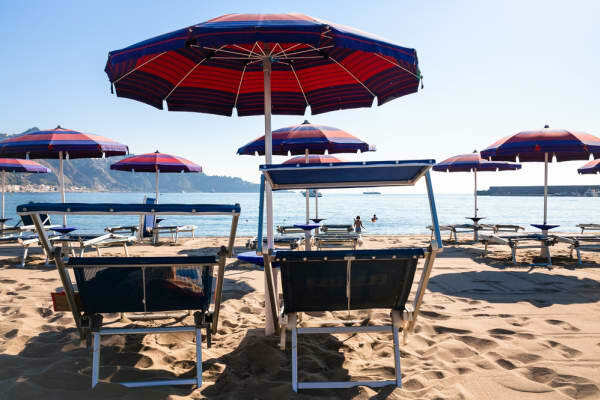 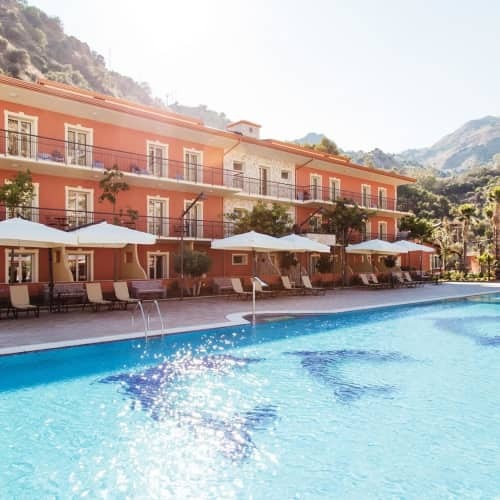 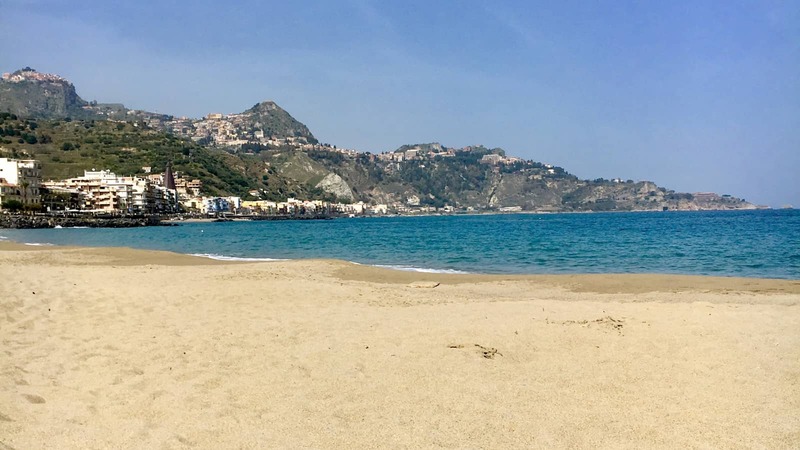 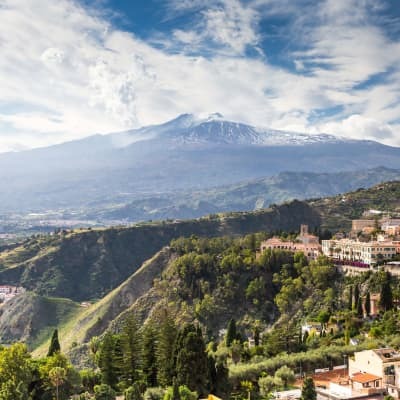 Just a few kilometres from Taormina is the pretty seaside town of Giardini Naxos, a lively and charming resort that takes pride in preserving its traditional lifestyle and culture. 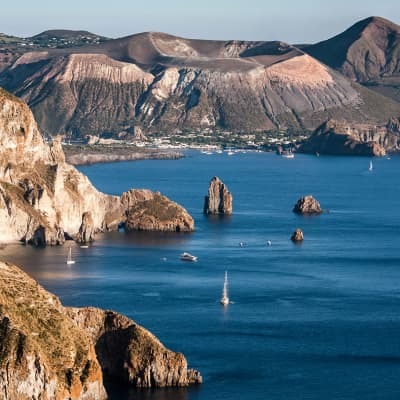 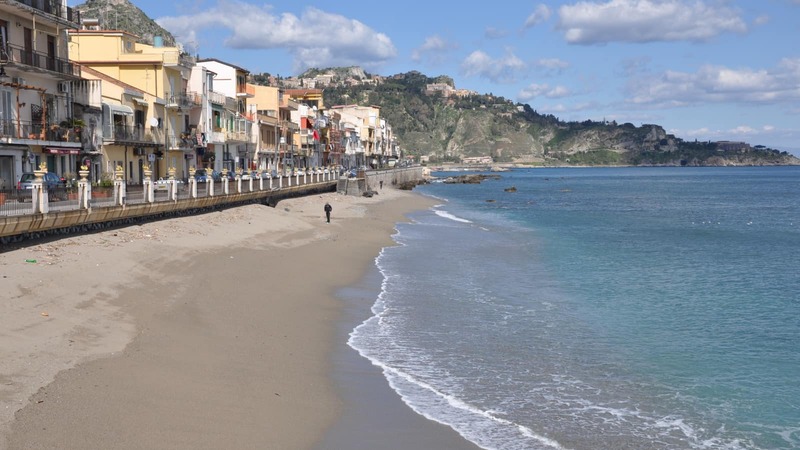 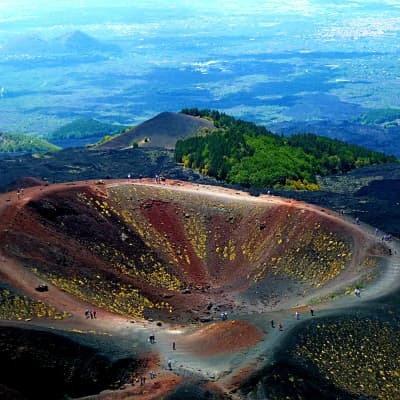 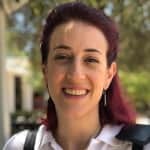 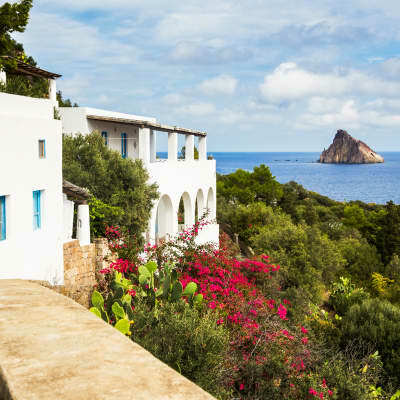 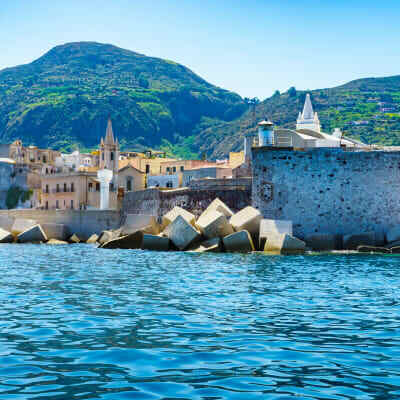 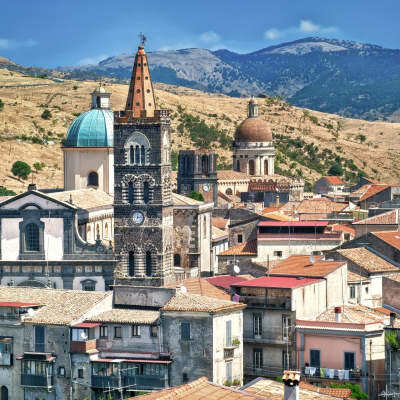 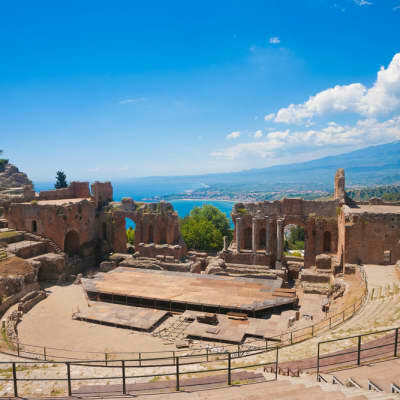 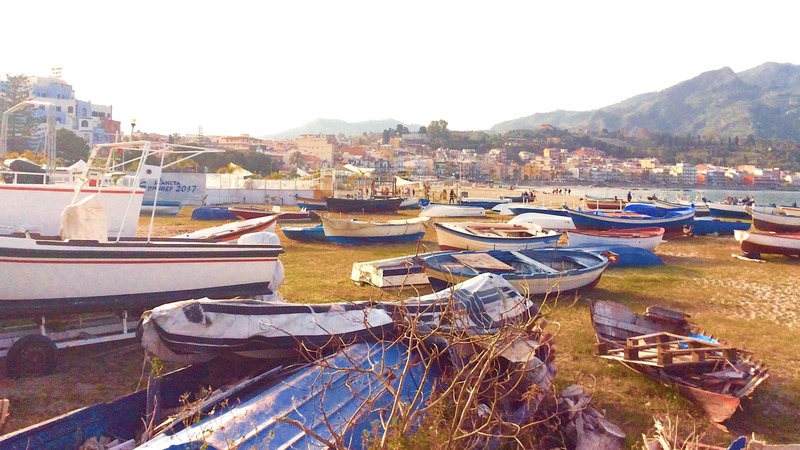 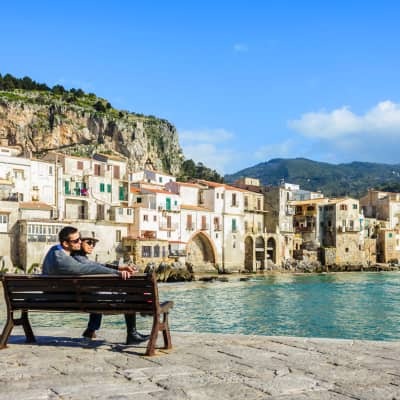 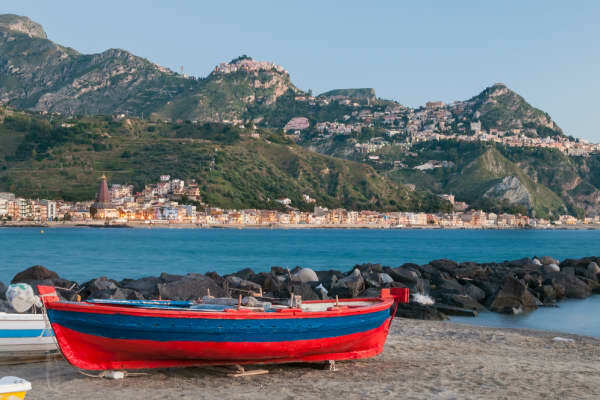 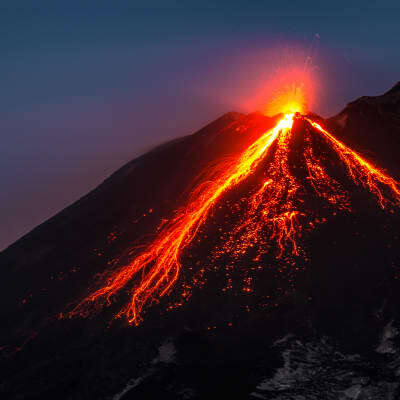 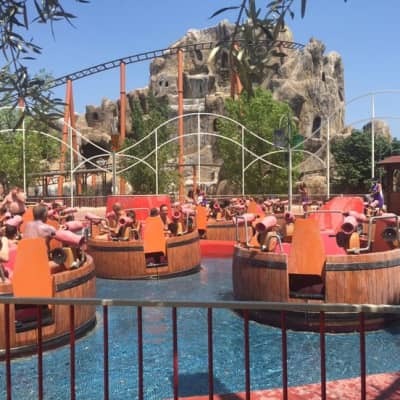 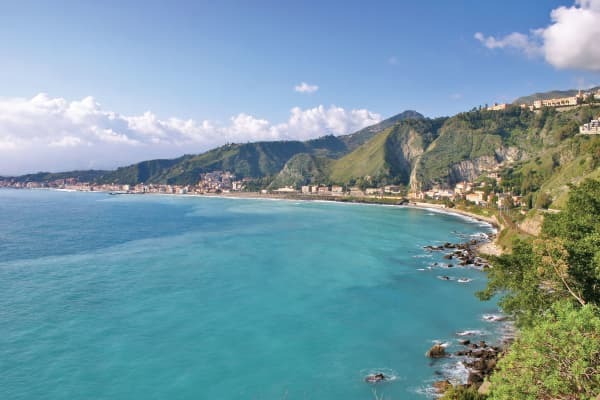 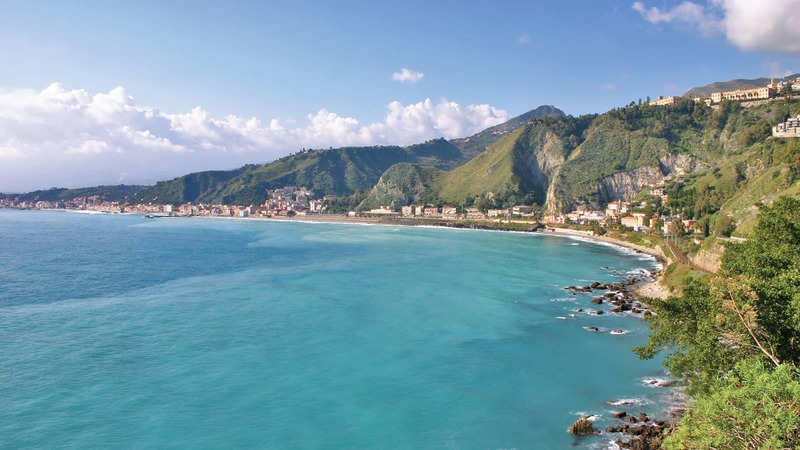 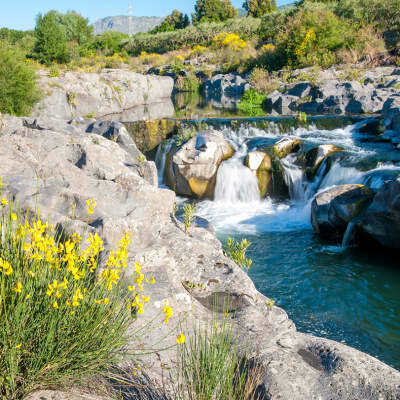 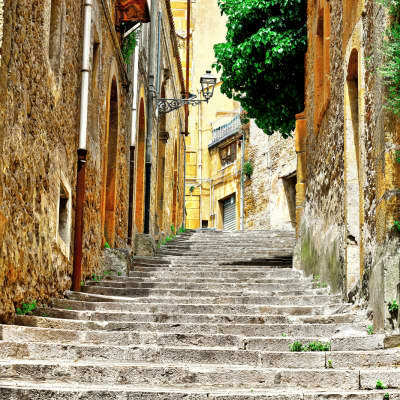 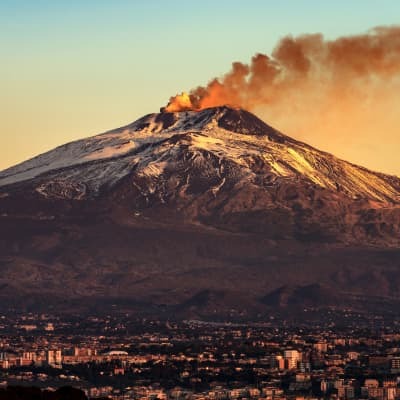 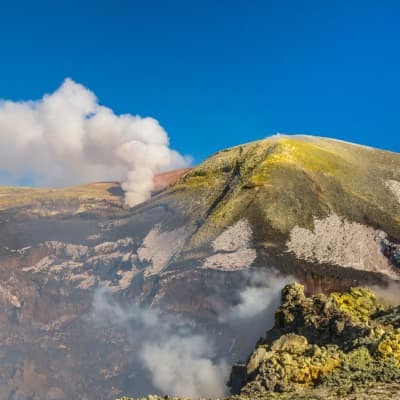 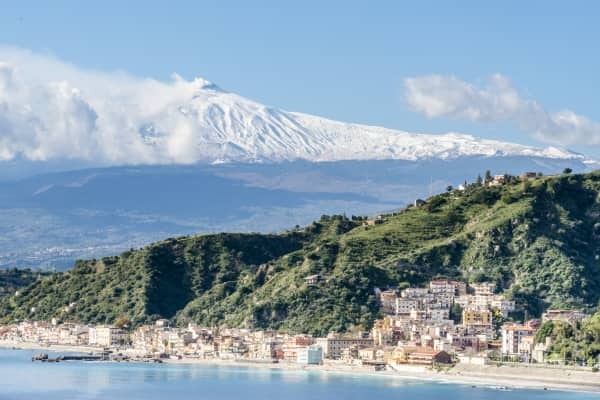 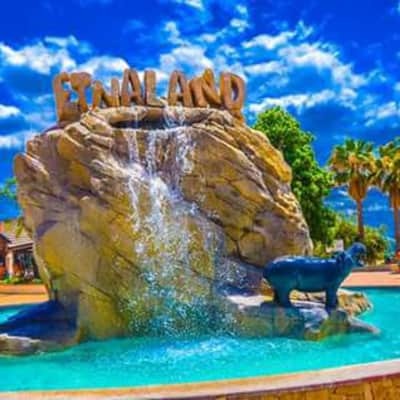 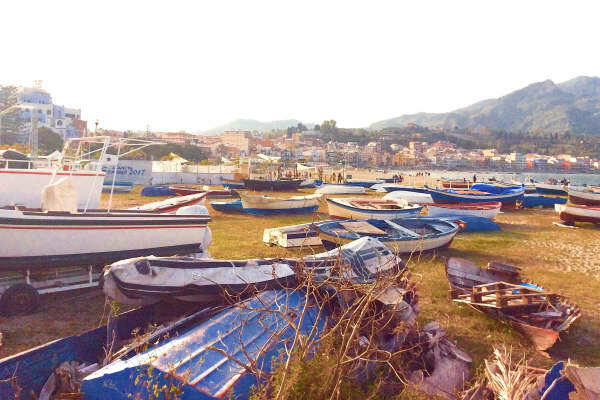 This is a popular destination for Italians to holiday, providing a charming corner of Sicily that has grown from a sleepy fishing village to a thriving and beautiful seaside resort. 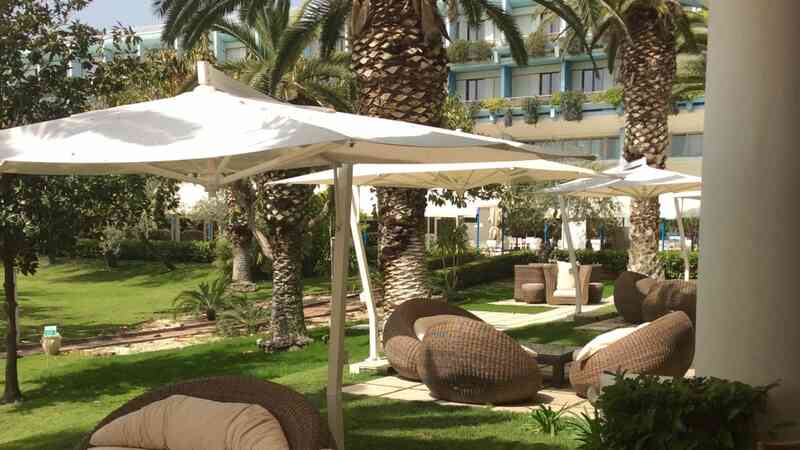 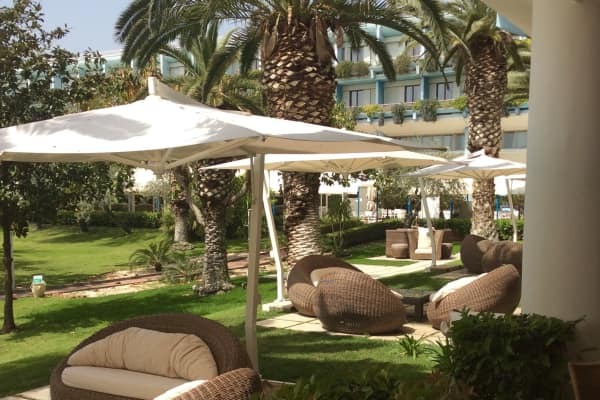 The long sand-and-pebble beach is divided into a free area where you can hire sunbeds, parasols and pedalos, and a lido part which you pay to use. 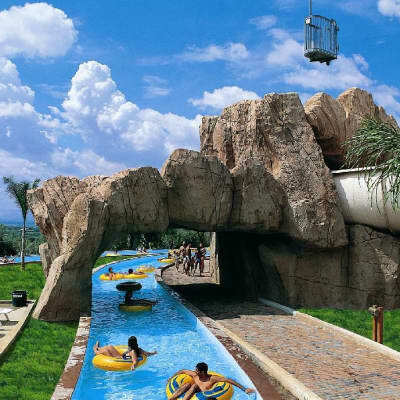 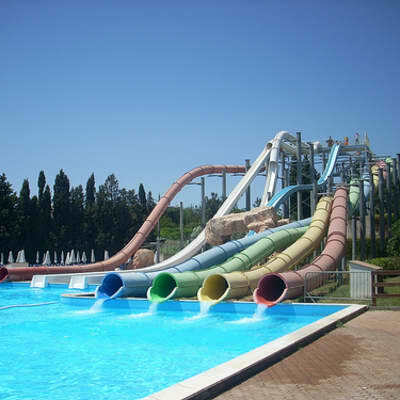 There's also a man-made beach in the Recanati district where you can enjoy a wide range of watersports. 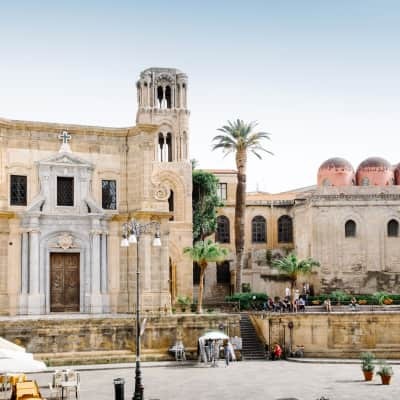 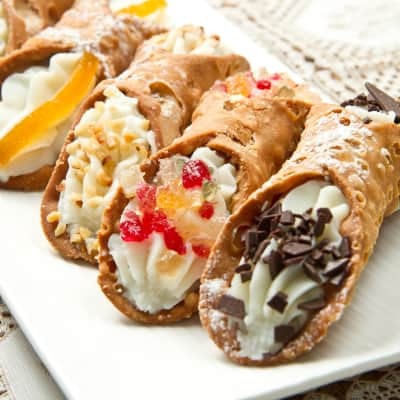 In Summer the seafront comes alive with entertainment that gives you an insight into Sicilian culture, including the Naxos folk group performing in traditional costume, and the Opera dei Pupi, a famous puppet show, which is a treat for all ages. 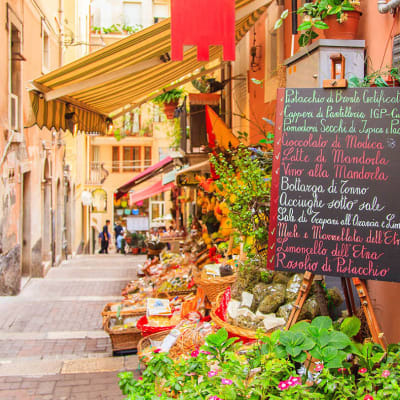 You'll find lots of smart shops and boutiques in the old town, while the prom is lined with bars that come alive at night, and the harbour is the place to head to for great cafés and seafood restaurants. 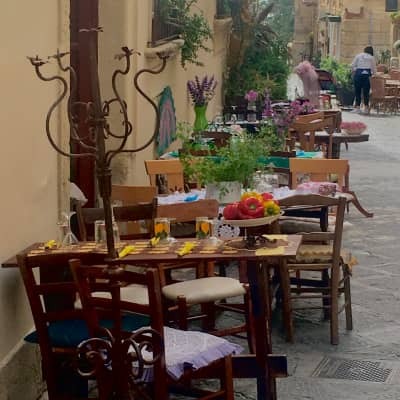 There are also lovely pizzerias and trattorias throughout the town. 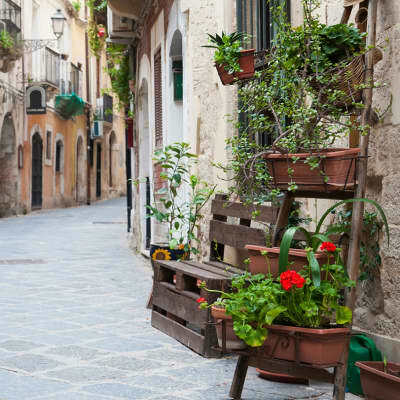 On Saturdays you can explore the lively local market of Recanati, selling souvenirs, clothes, shoes and local produce. 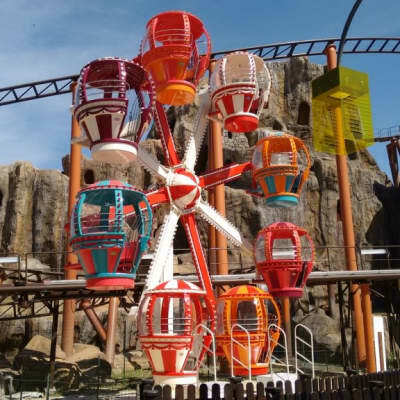 This area also has lots of family appeal, with its funfair and open-air discos. 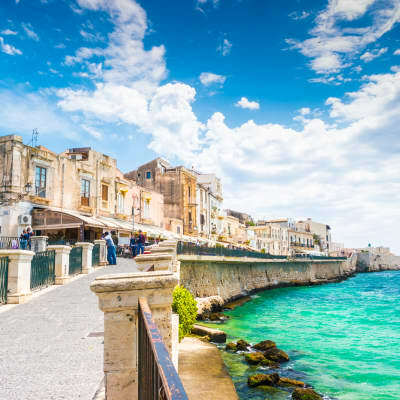 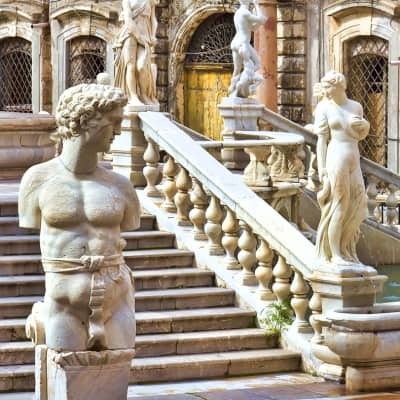 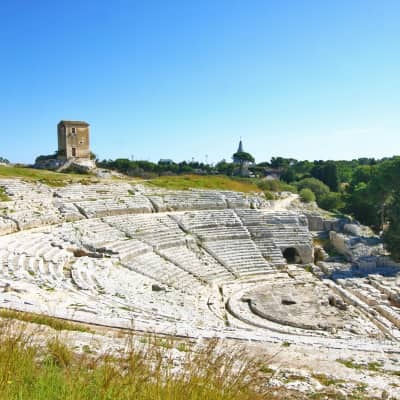 Travel to the wonderful Syracuse, a beautiful historical, coastal town and one of the most ancient Greek colonies in Sicily. 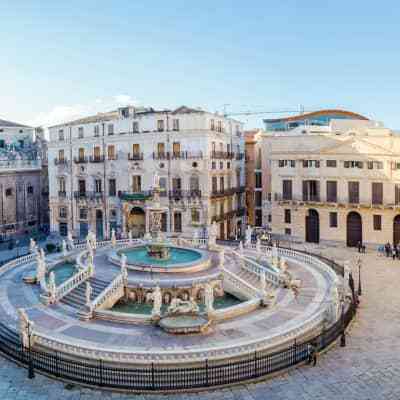 Stroll through the beautiful golden streets lined with honey-hued buildings and chic cafés and visit the Piazza del Duomo, Syracuse’s show stopping square. 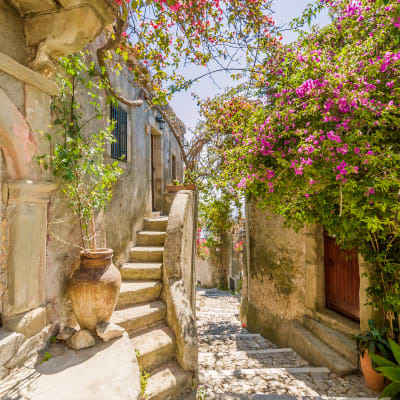 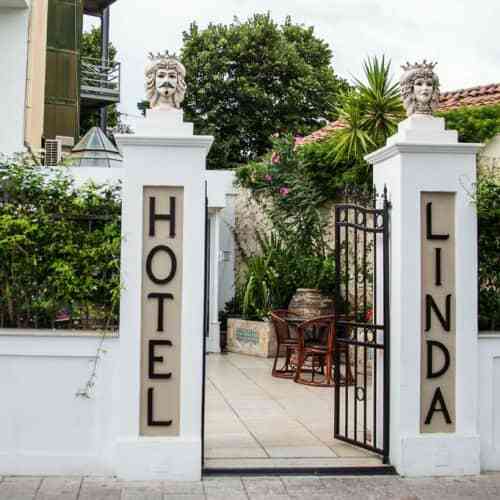 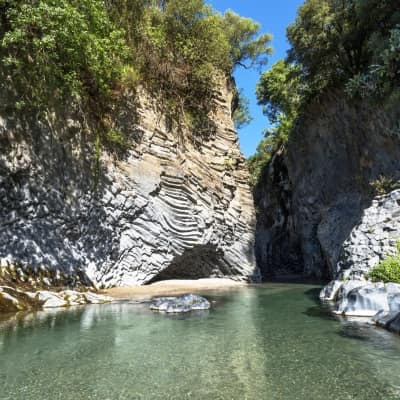 Beside the theatre, you will find the mystic 'Latomies of Paradise', a deep, steep limestone quarry riddled with catacombs and now boasting many fragrant citrus and magnolia trees. 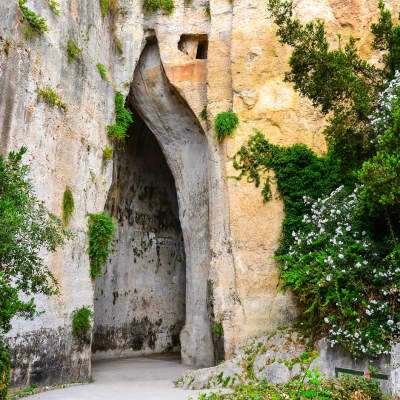 Here stands the 'Ear of Dionysius' - The name was given by Caravaggio during his visit in 1608 and legend would tell us that it was used by Dionysius the Tyrant as a prison for his bitterest enemies. 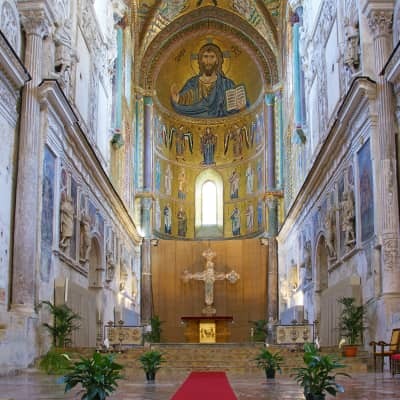 The excellent Cathedral-like acoustics meant that he could hear their conversations from outside. 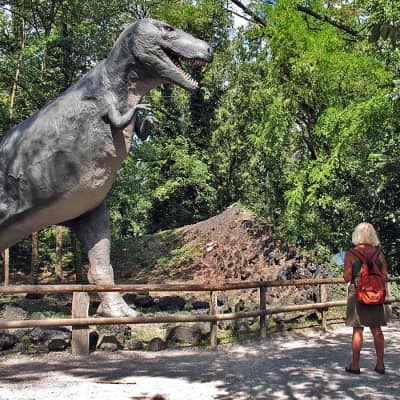 - Visitors must pay a €5 Ecotax locally. 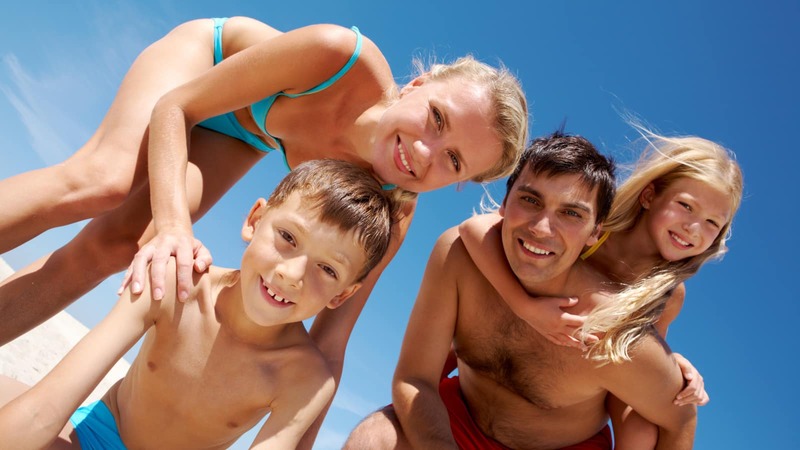 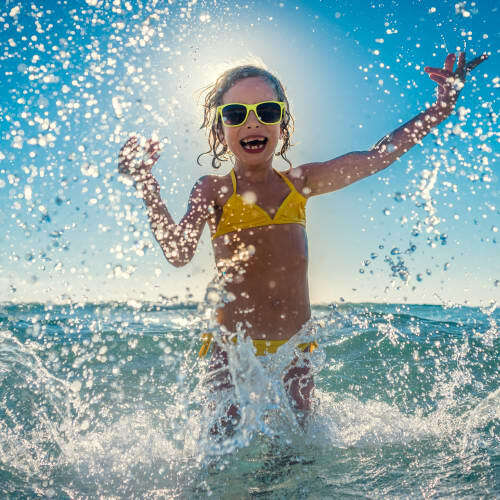 - We recommend that you bring a wind jacket, bathing suit, towel and sunscreen. 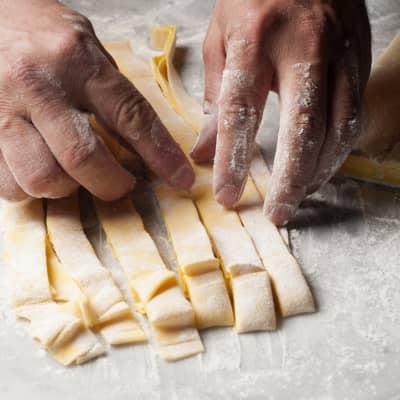 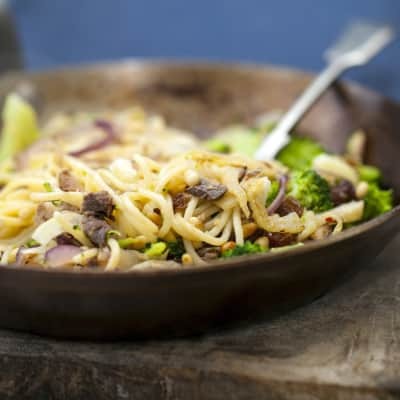 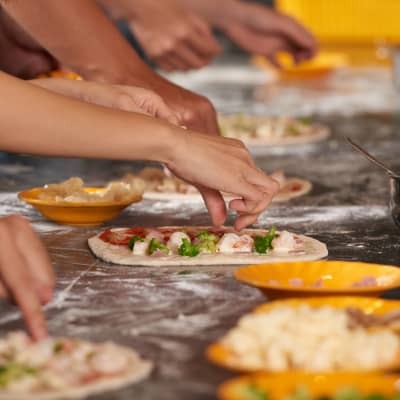 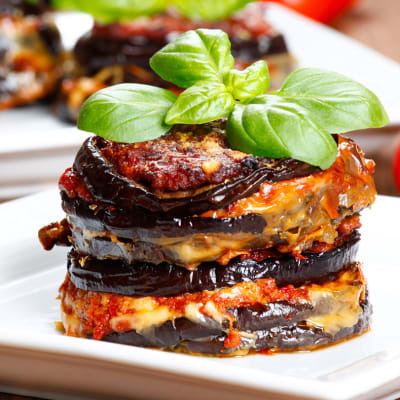 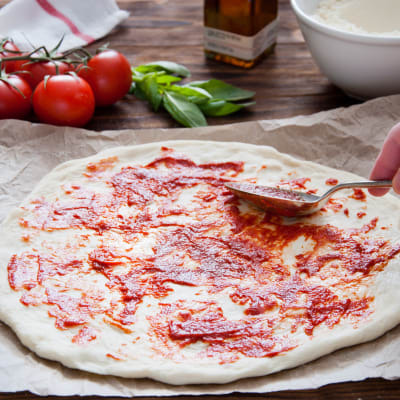 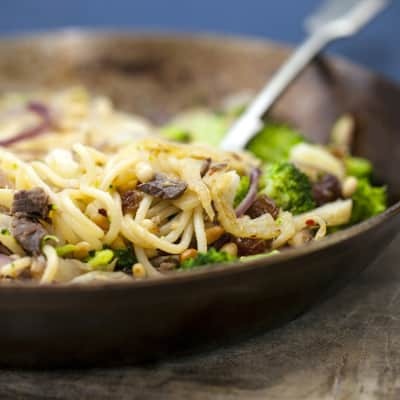 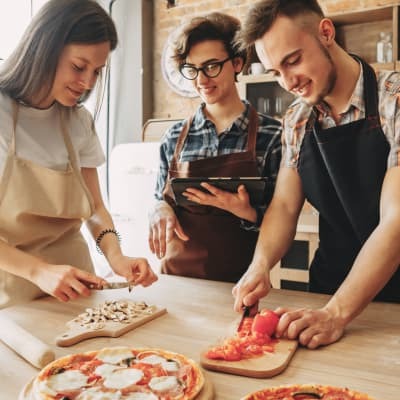 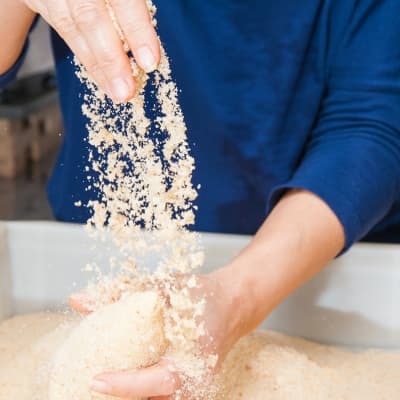 This is a wonderful class in which guests can experience something uniquely Italian, learning skills that you can return home with. 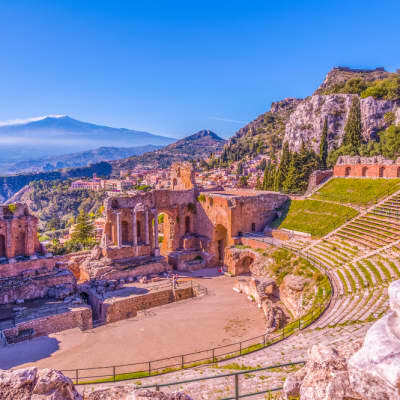 Discover the rich historic and cultural heritage of Palermo, the island's capital, before journeying to the small town of Cefalú, whose ancient cathedral is one of the greatest examples of Norman architecture in the world. 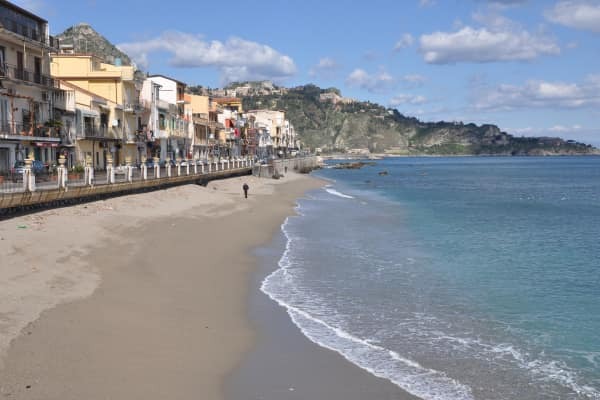 After lunch, the bus tour proceeds to Cefalú, in the north coast. 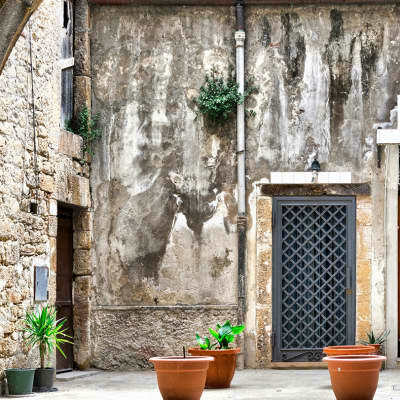 Set in the medieval district, this town is marked by Norman influences. 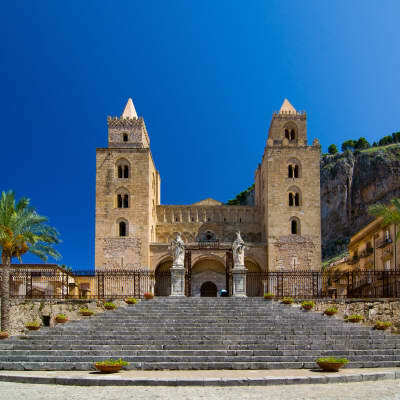 The famous Duomo, a majestic two-towered Norman cathedral is a must-visit, with its interior decorated with lovely mosaics created by twelfth-century Byzantine artists - A large Christ Pantocrator on a gold background dominating the apse, above the Madonna, archangels and Apostles. 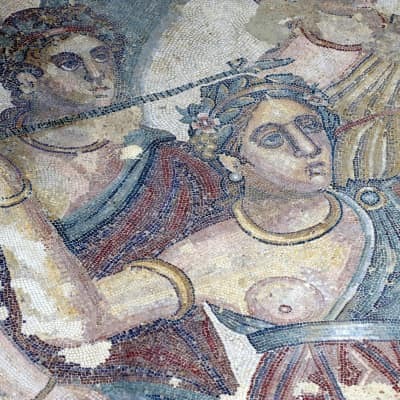 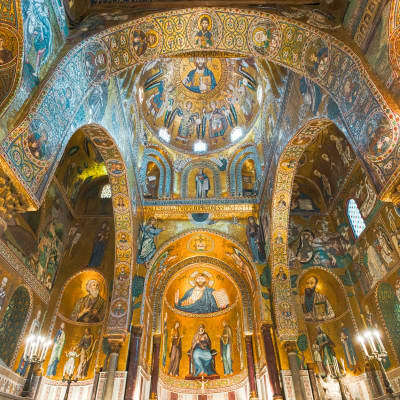 These gleaming mosaics are one of Sicily's greatest sights. 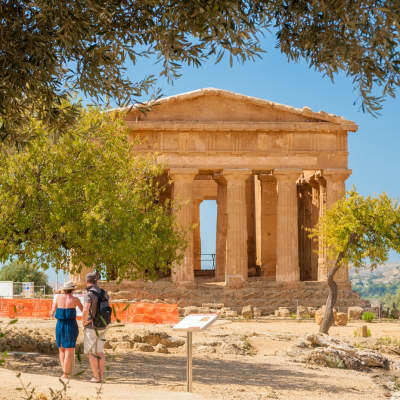 Agrigento is famous for its archaeological park, the 'Valley of Temples'. 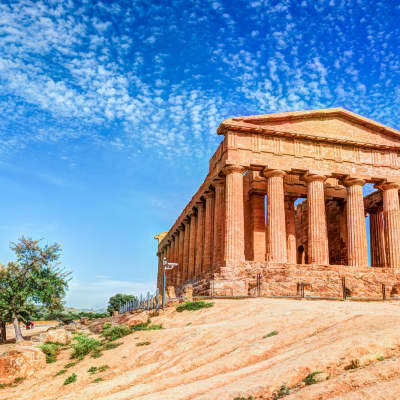 Surrounded by pastoral countryside, this UNESCO World Heritage Site consists of well-preserved temples built by the ancient Greeks between 510 and 430 BC. 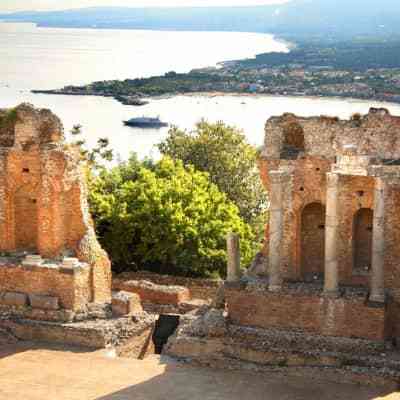 Whilst here, you have a chance to explore the ancient temples of Juno, Concordia, Hercules and Zeus. 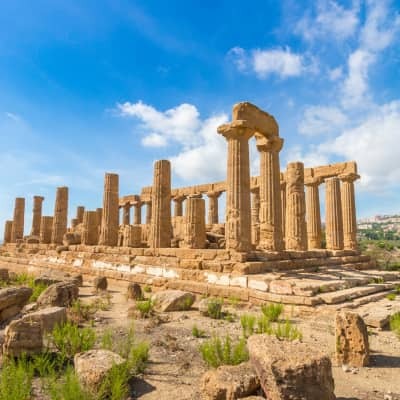 Some of the temples remain remarkably intact and you can still admire the exquisite art and architecture. 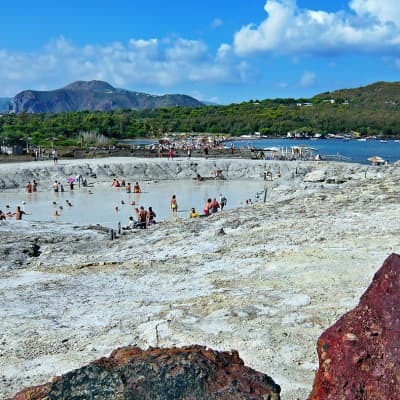 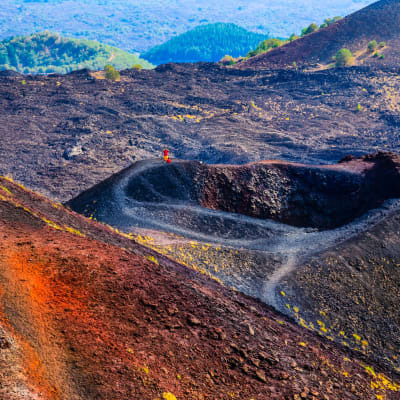 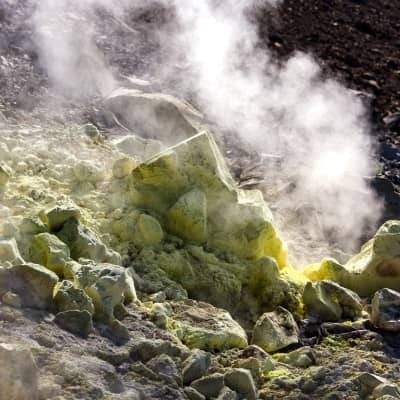 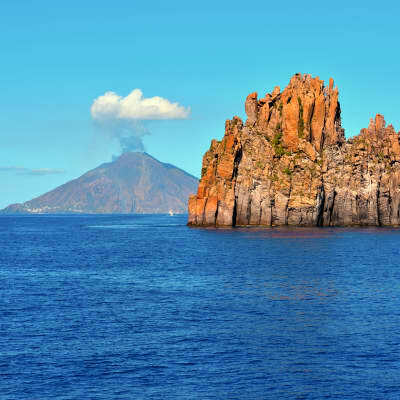 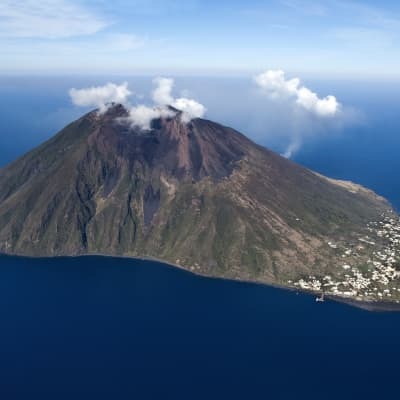 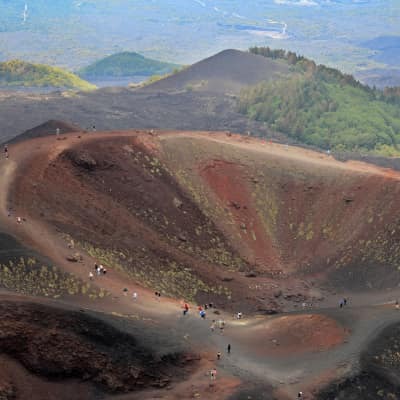 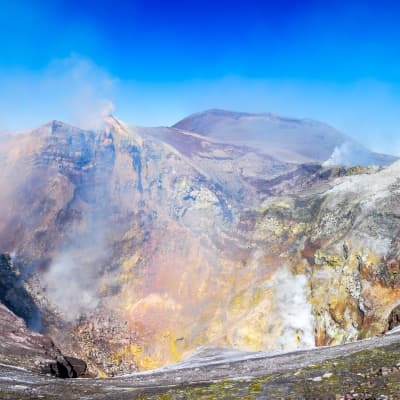 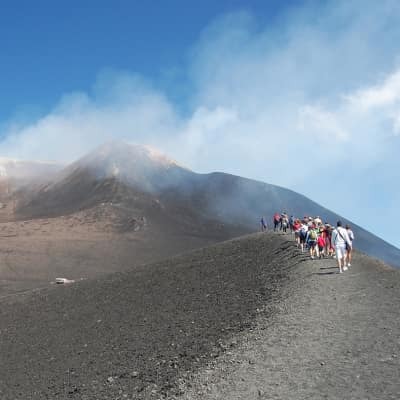 Board the boat to continue your journey towards the island of Vulcano. 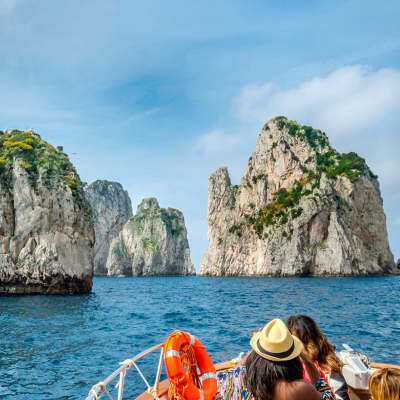 Sail along the 'Faraglioni', an amazing rock formation that rises out of the crystal-clear waters, and the 'Horse's Grotta', an azure-water cave where the sunlight's reflection creates fantastic games of light and colour.